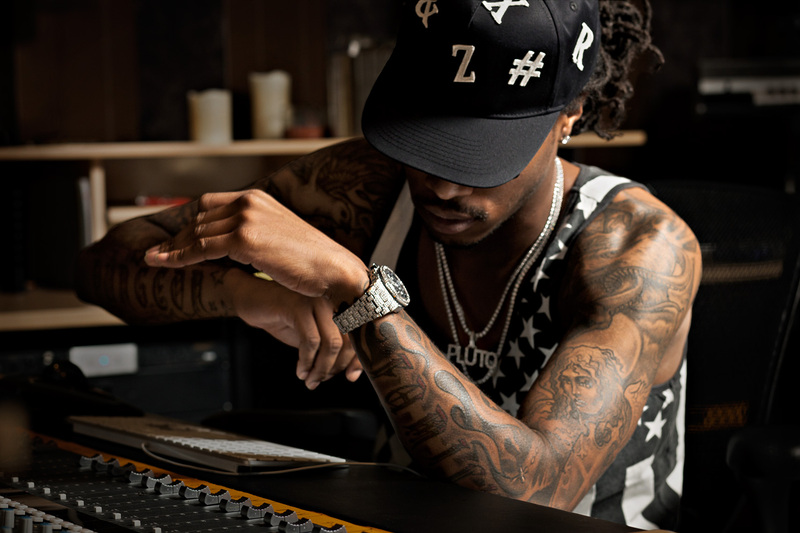 Editorial portrait of Atlanta rapper Future working the mixing board in studio. Photographed for editorial magazine Inked, to show Future and his extensive tattoo collection. Future is a member of the hip hop collective Dungeon Family, that includes Outkast, Goodie Mob and Ceelo Green. Environmental portrait. Photographer: Atlanta based portrait, lifestyle and editorial photographer Nick Burchell.